Troop 59 meets weekly, from 7:30 PM to 9:00 PM on Wednesday evenings, at the First Presbyterian Church. On the last Wednesday of each month, Patrol Leader Council (PLC) meetings are held, at the same time and location. All Patrol Leaders (Senior, Assistant Senior, Patrol and Assistant Patrol) as well as Troop Scribe, must attend these meetings. All Scouts must be in complete uniform at each meeting, and must bring their BSA Handbooks. Parents are invited to attend all troop meetings, and are specifically requested to attend all special events such as Courts of Honor, and during guest speaker presentations. The Troop Leadership Committee meets on the first Monday of each month, from 7:30 PM to 9:00 PM, at varying locations such as a leader’s home, or the Long Hill Township public library. The Troop Committee includes the BSA trained and registered adult members of the Troop, as well as all interested parents. Scout dues are $90.00 per year, which are collecting upon a Scout joining to Troop, and then each Fall when the Troop re-charters with the BSA. The collection of these dues covers the cost of registering the individual scouts (and the troop as a whole) with the Boy Scouts of America (BSA.) The dues also pay for the cost of insurance coverage from the BSA, individual subscriptions to Boy’s Life magazine, the purchase of individual merit and rank advancement badges, equipment such as troop tents and stoves, and more. Registered adult leaders are required to pay $33.00 per year, which covers BSA registration and insurance costs, and includes a subscription to Scouting magazine. The Troop 59 web site provides a complete calendar of events, and contains the most up-to-date information about meetings, activity schedules, permission forms, camping trips, and more. 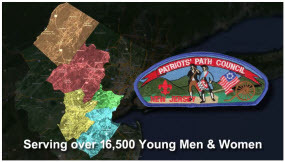 The site also serves as the face of Troop 59 to the communities which we serve. The web site is maintained by the scout currently serving as the Troop Webmaster, with assistance from an adult leader. The Troop’s primary means of communication to parents, scouts and leaders is through email, with links to important information and documents on the Troop web site. In order for Troop communication to be effective, all scouts, parents and leaders are strongly encouraged to visit the web site on a regular basis, to find out what is going on in the Troop! Each month, Troop 59 participates in a camping activity. The actual cost of these activities, for permits, registrations, food, and transportation are passed on to the Scout and paid separately, by the participating scouts and leaders. Costs can range anywhere from $15 to $50, depending upon the activity. Special activities, such as canoeing or rafting, may cost more. 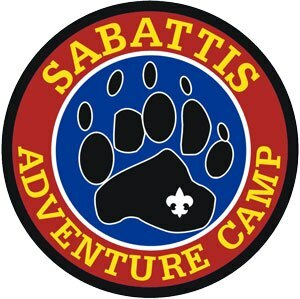 The troop also reserves a week at Sabattis High Adventure Camp in Long Lake, NY, at an approximate cost of $350.00/scout for the 7 day period. Scouts who have recently bridged over to the Troop from the Cub Scout program are required to remove all Cub Scout insignia from the khaki uniform shirt, with the exception of the Arrow of Light badge and the Religious Emblem knot, if earned. Scouts must obtain the official BSA uniform pants (either microfiber, or canvas with the BSA belt purchased separately, at the scout’s preference) as well as the GREEN shoulder loops for placement on the shirt epaulets. The green BSA caps may be worn, at the scout’s option. Neckerchiefs are to be worn only after the Scout has earned the rank of Tenderfoot, and are awarded by the Troop.